At NTW, we enjoy strong relationships with major suppliers who ensure we have the most competitive pricing and warranty options in the industry. The result of these efforts continues to lead us to new and emerging low-cost expansion opportunities. As a dealer, you will gain an edge in your market through complete line coverage, superior fill rates, comprehensive marketing support, and industry-leading product warranties. Probably like you, we started with humble beginnings, working hard and doing our best to service our clients. Tire dealers took notice, and we’ve grown a lot since then. What started as a simple family business has exploded into six National Tire Warehouse locations in the West and more than 45 additional nationwide partner warehouses. 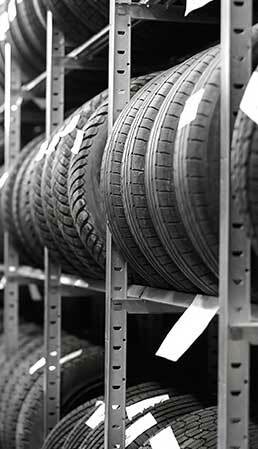 We have the staff, buying power and selection of tires, equipment and shop supplies that set the standard for tire distributors. 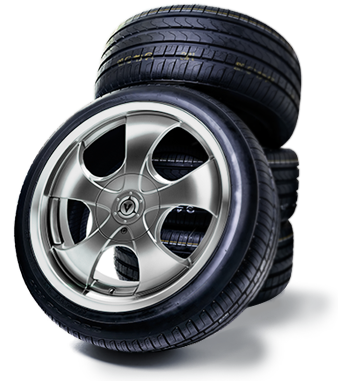 Contact us today to find out how National Tire Warehouse can help your business flourish. 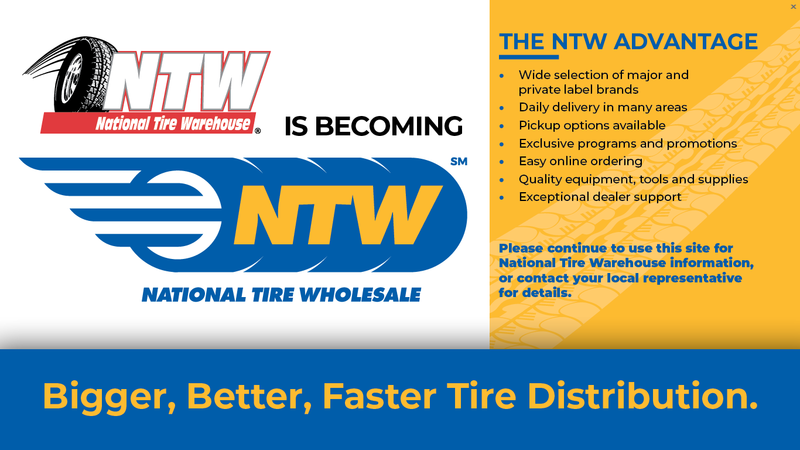 National Tire Warehouse, a division of TBC Corporation, sells a wide variety of proprietary and national brands from more than 45 distribution centers that market directly to independent tire dealers across the United States. If you're looking to drive your career ahead and become a part of NTW's growing team, please visit www.tbccareers.com and apply today! © 2019 National Tire Warehouse. All Rights Reserved.